Poland Trade Ban Calendar – Are Shops Open on Sunday? This trade ban is a pain. Especially if you often shop on Sundays. In order to avoid problems, you need to remember when it is going to be. We made a google calendar so that you can import it into your own with one simple click. All the “Banned Sundays” are already included and (after you add it to your own calendar) you will receive a notification 2 days in advance. ” in the bottom right of the screen. (in the bottom right corner of the calendar) to add it to your own. Our goal is to make your life in Warsaw easier (and more fun!). 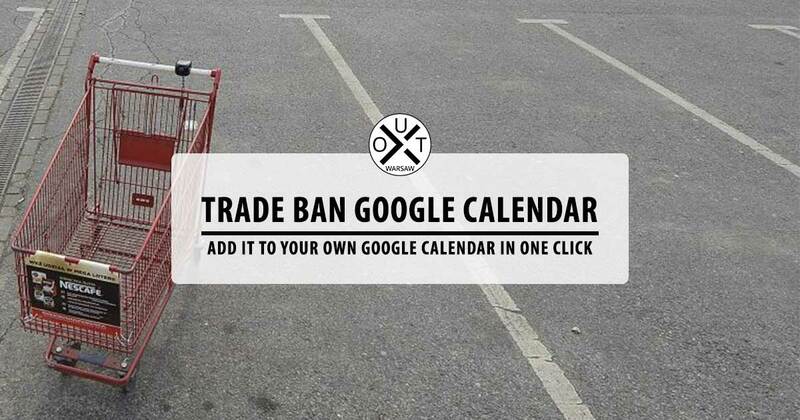 Is it possible for you to update the calendar with the 2019 trade bans?